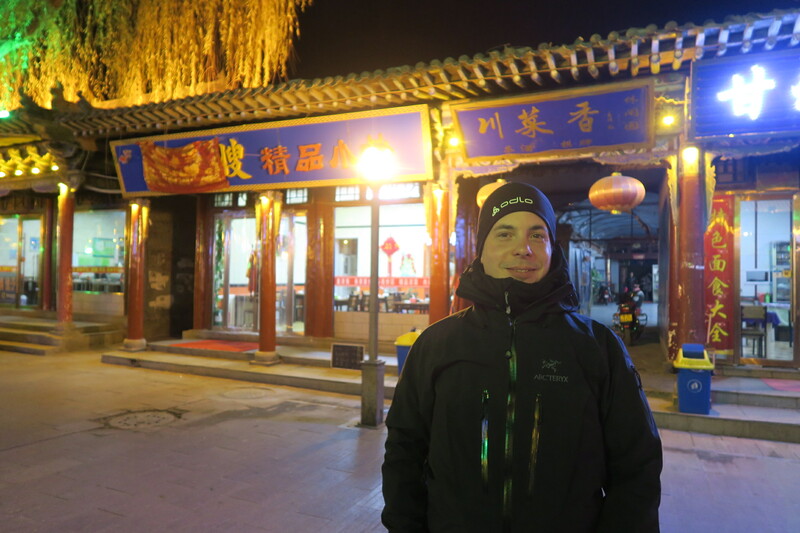 We had arrived in Lanzhou the night before to catch an early train to Zhangye. 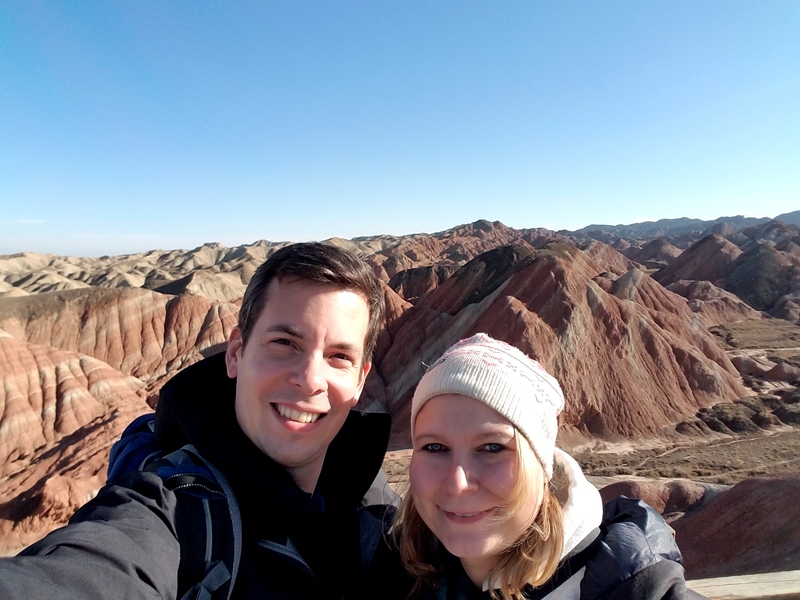 We arrive at Zhangye at noon. 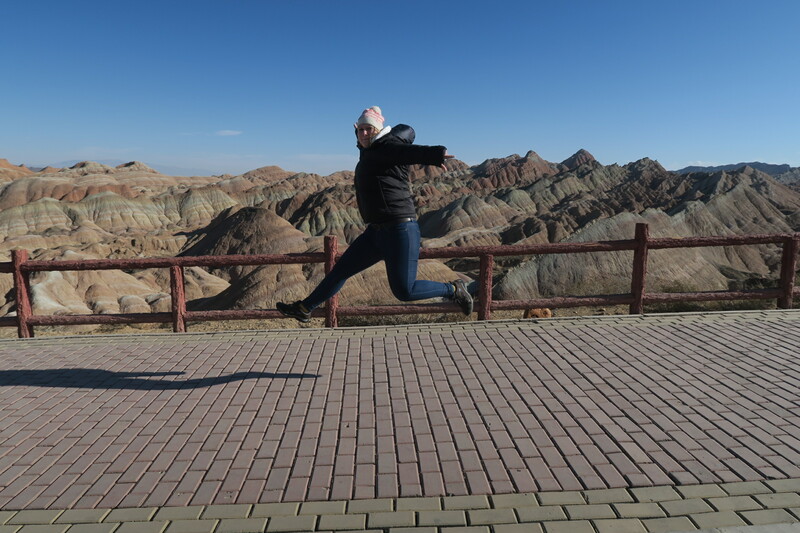 With our fluent Chinglish, we quickly find a very friendly Taxi driver who agrees to drive us to the Zhangye Danxia National Park and back (as we correctly anticipate that there are no taxi drivers at the park at this time of year, who could take us back to town). 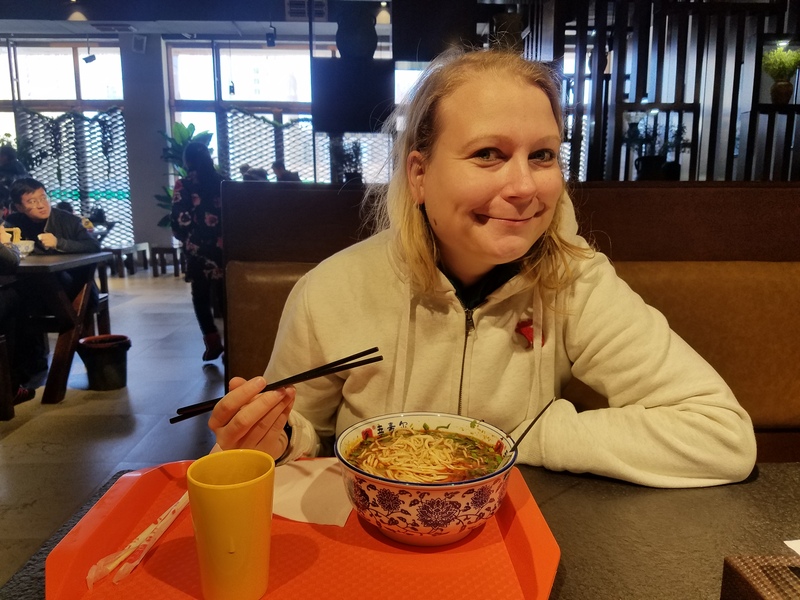 We quickly drop our bags and make a lunch stop for the famous Lanzhou LaMian, spicy hand pulled beef noodle soup. 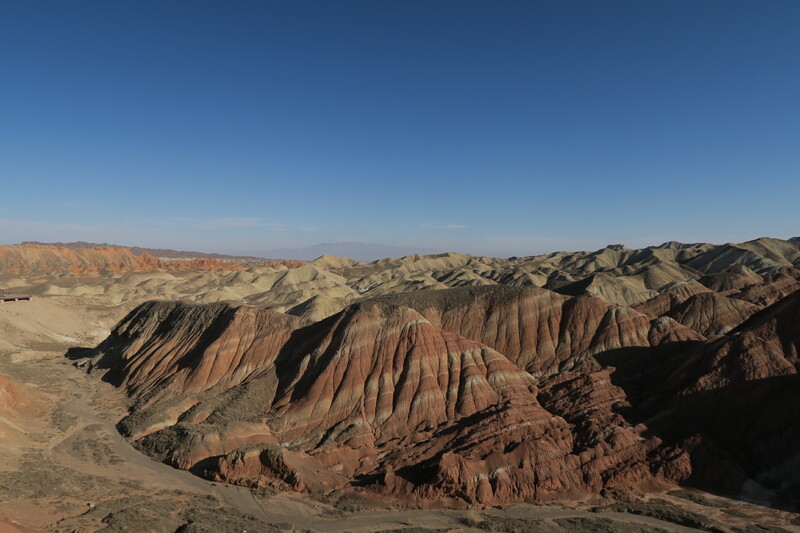 The Danxia Park is a good 30km southwest of town. We arrive at a giant visitor center and parking lot. Alone. I don’t want to imagine the crowds that push through here in summer. Winter seems to be the perfect time for visiting. The weather is beautiful, a bit cold, but the sun is shining, and we are virtually alone. 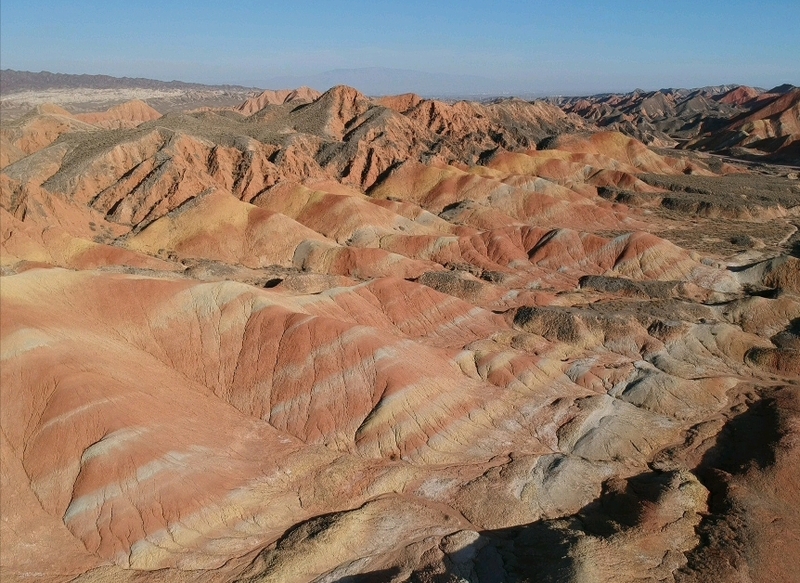 The Zhangye Danxia Landform is an area of colorful sandstone hills. Formed some 24 mio years ago and pushed upwards by tectonic movements. 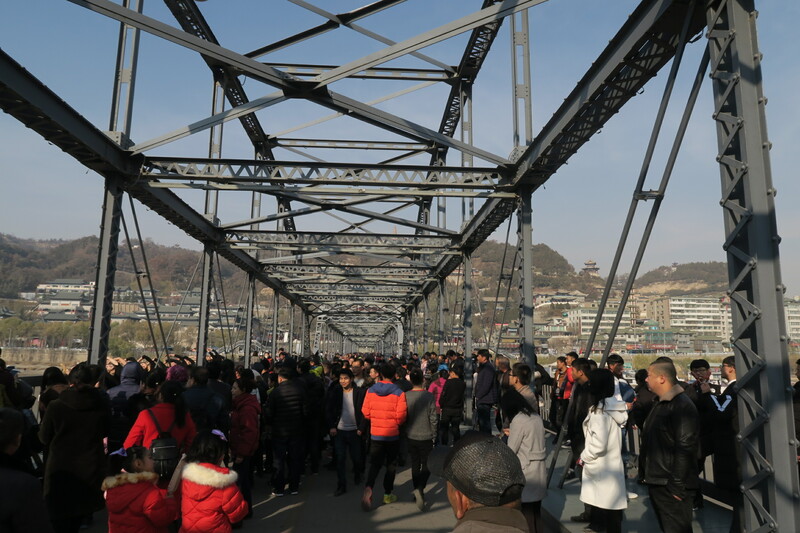 The park has for main viewing platforms connected by busses every 20min (although one could easily walk). 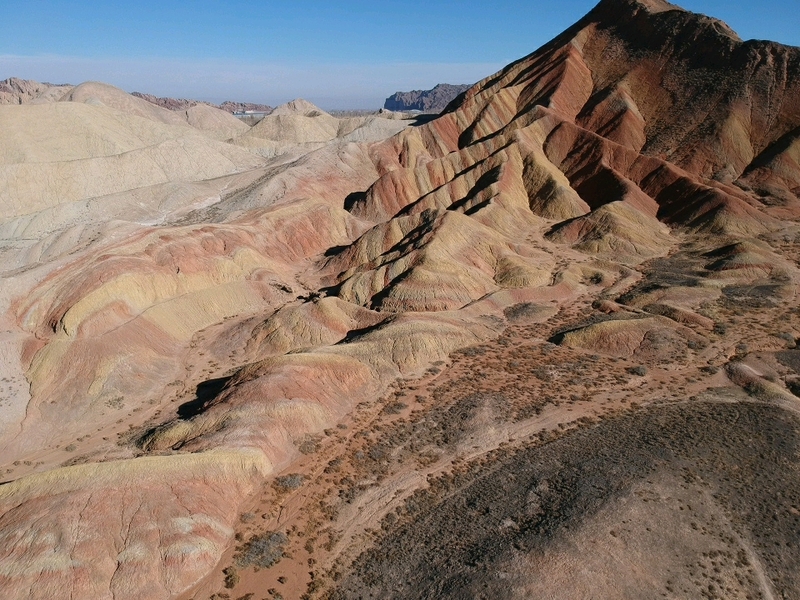 The landscape is simply stunning. In the evening, we explore the town. 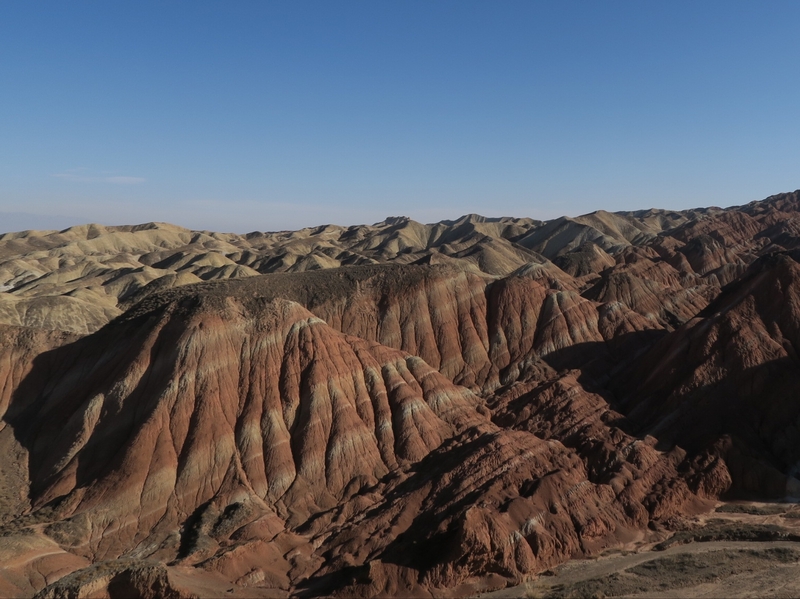 Zhangye is a village by Chinese standards with only 1.2 million inhabitants. We find a hotpot place close to the city’s temple. 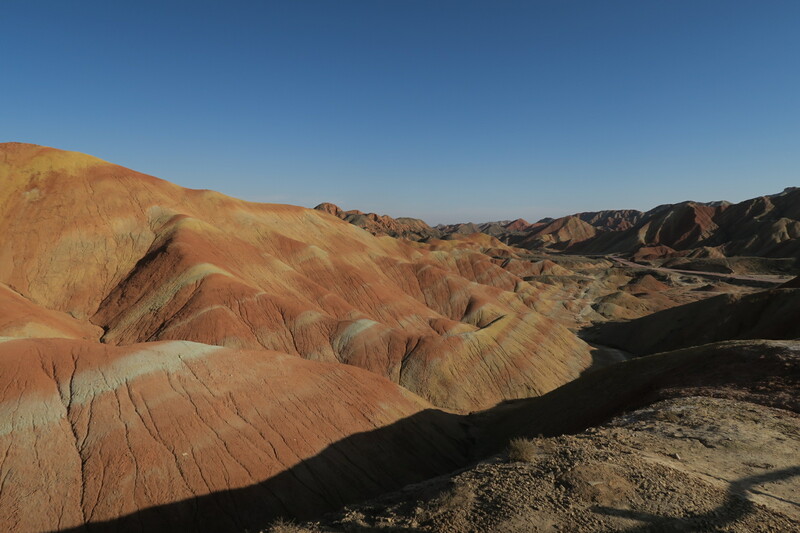 Since we finished our expliration of Zhangye and the Rainbow Mountains quicker than expected, we decide to move westward. 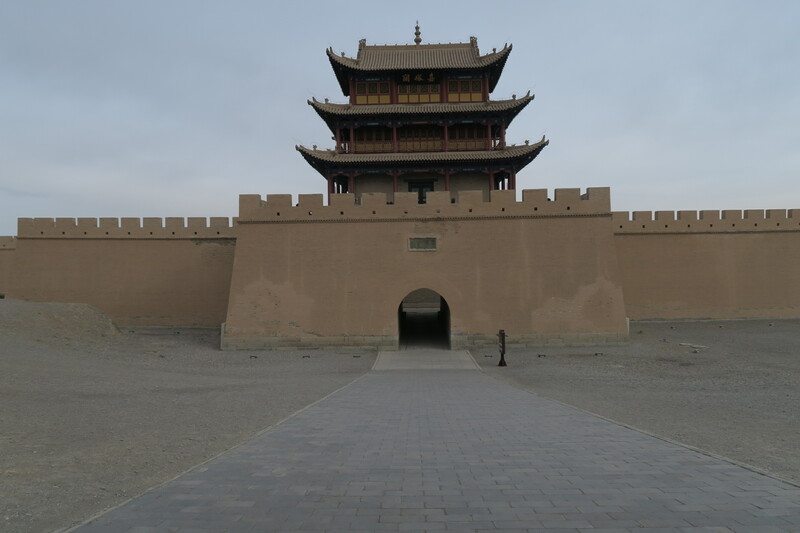 There, at the edge of the Gobi desert lies Jiayuguan, the western end of the Great Wall with its mighty fortress, which guards the entrance to the Middle Kingdom, as well as the First Watchtower. 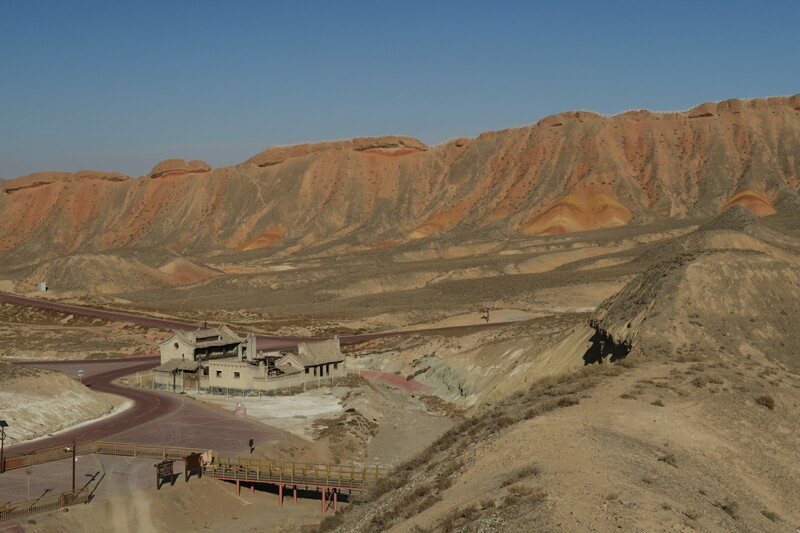 Its only a short train ride from Zhangye to Jiayuguan. At the trainstation, we negotiate a fix price with a taxi driver to take us to the First Watchtower and the Fortress. 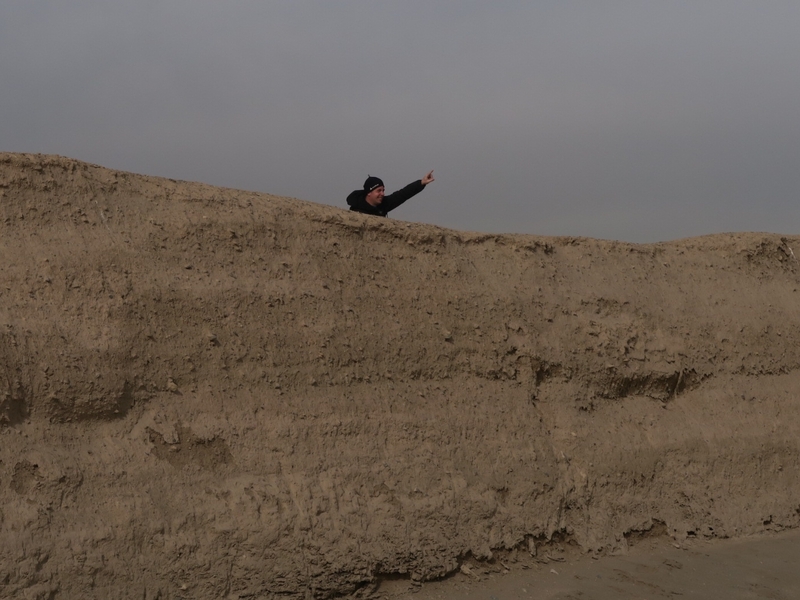 Here in the west, the wall is made of sandstone and is washed away over the centuries by the little rain that falls in this continental region. 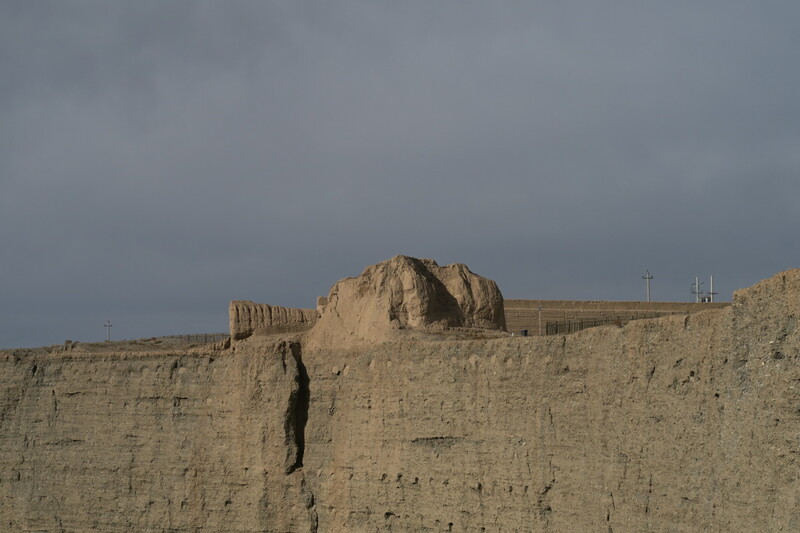 Still, the First Watchtower and the wall have stood the test of time with their remains clearly visible in the desert. Below the watchtower is a museum with a spectacular balcony overlooking the steep river valley below. Back outside, we pass through the wall and cross the river via a suspension bridge for another, intimidating view on the fortification. Next, we drive to the fortress. The structure has been completely rebuilt with only few original fragments in place. 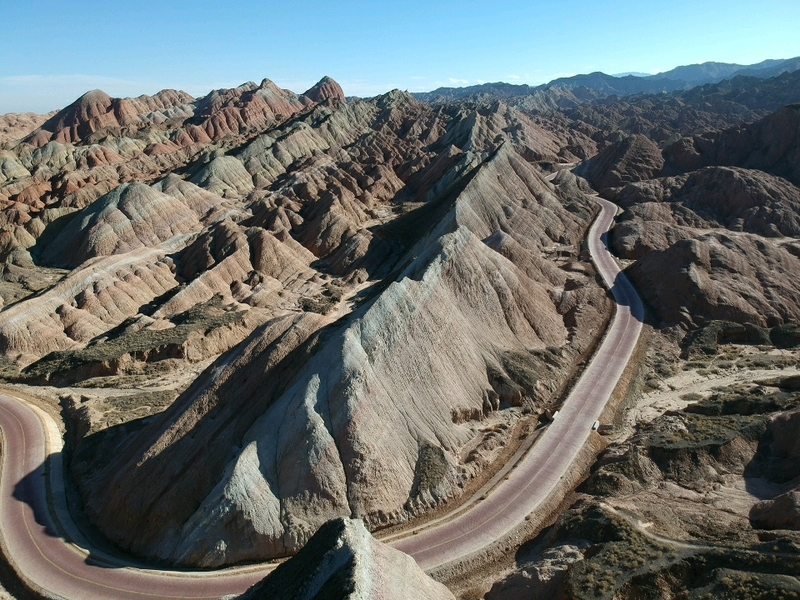 Still, it paints a vivid picture of what travelers have seen on their eastward journey. 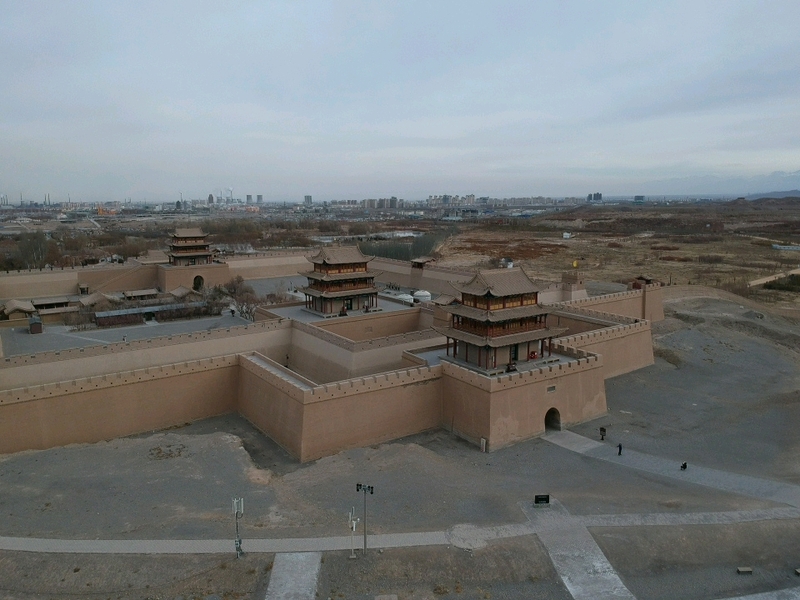 We walk the fortress walls and let the drone fly despite high winds. 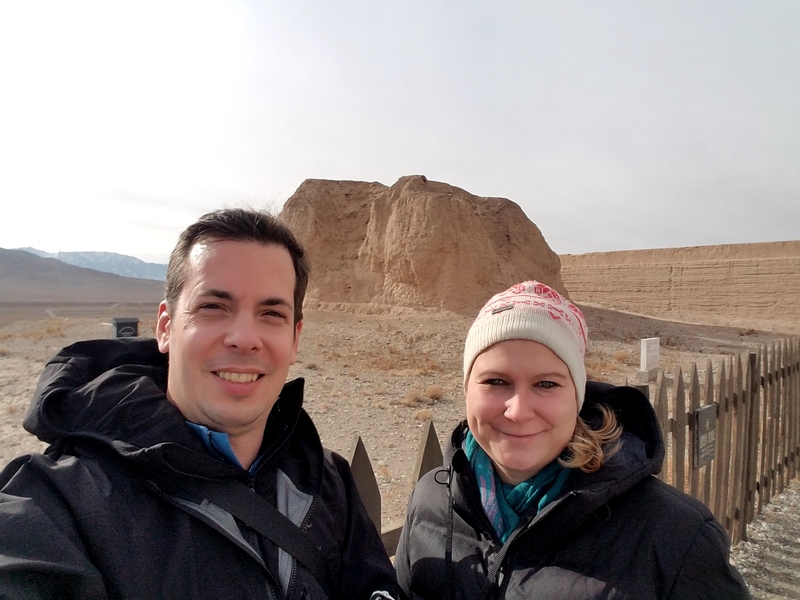 A legend I very much enjoyed is that of the one brick of Jiayuguan. 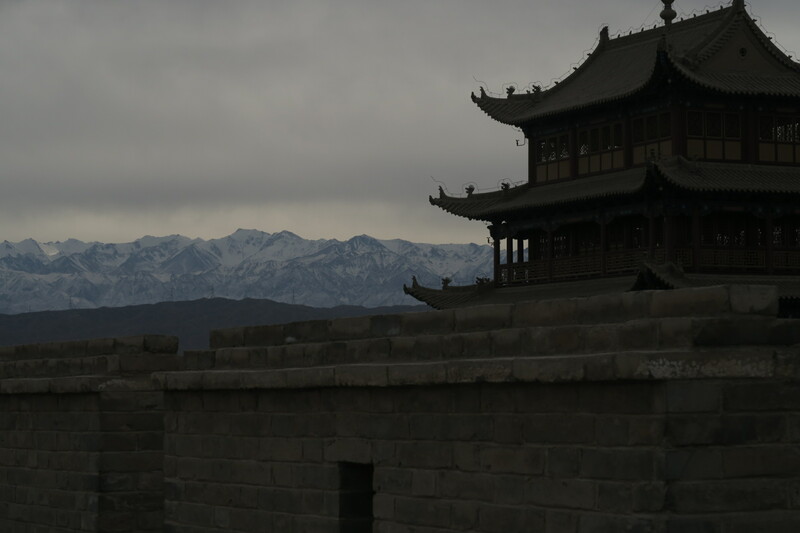 According to the legend, the general ordered the architect to calculate the number of stones needed for the fortress. The architect gave the exact number. However, the general demanded that the architect added some buffer to his calculation. The architect felt that his abilities were not respected and added exactly one stone as buffer. When the fortress was finished, exactly this stone remained left over. The architect had it placed above a doorway of the fortress. 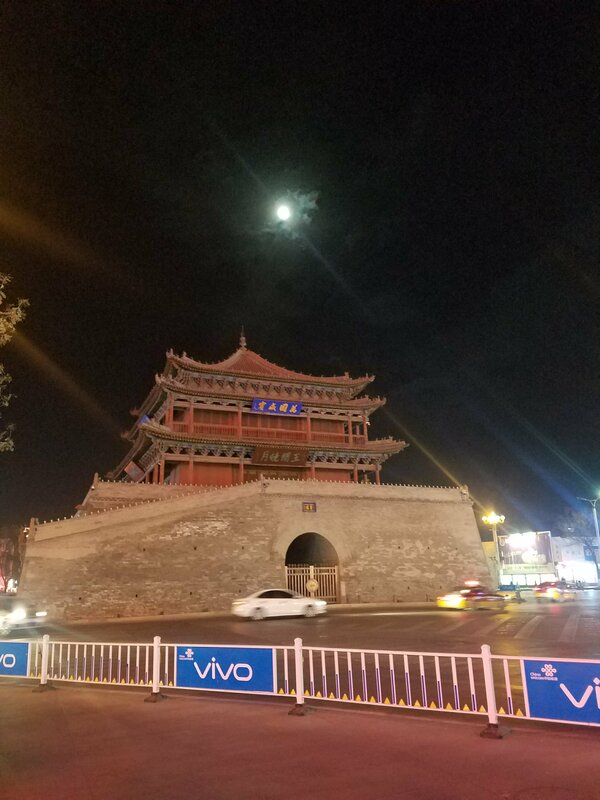 In the late afternoon, we are back on our way to Zhangye, where we end the evening with a more traditional hotpot at the old city gate. We take an early morning train back to Lanzhou. 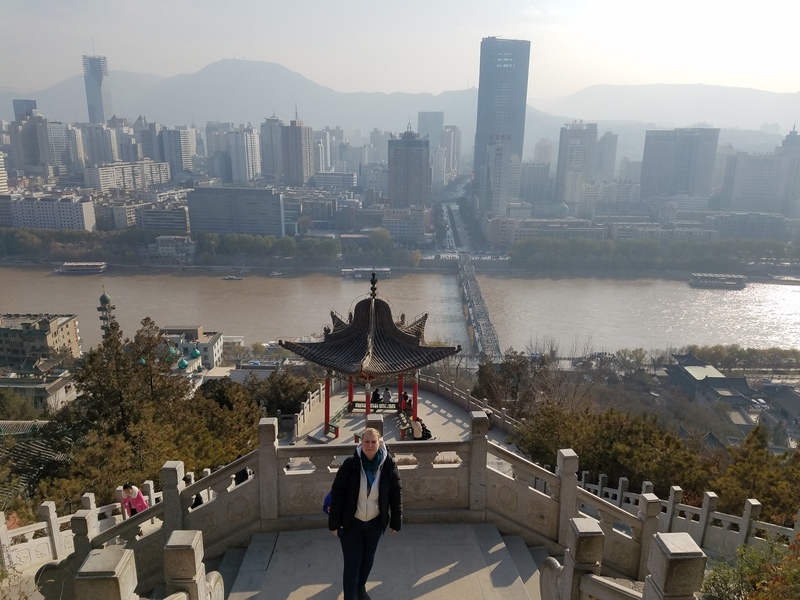 In Lanzhou, we explore the german built Iron Bridge over thr Yellow River and climb up to the White Pagoda (the pagoda mountain looks intimidatingly high unil one realises that the pagoda is not full size but quite small). 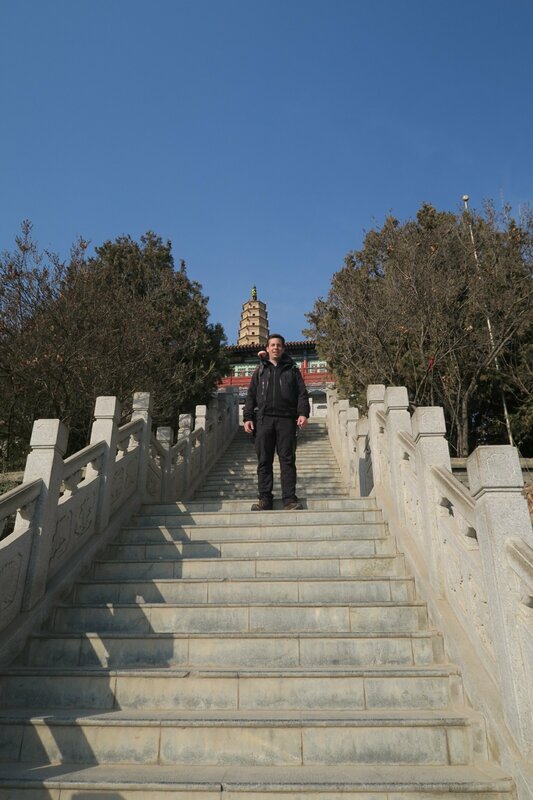 However, we fail to find Lanzhou Mian in Lanzhou. Only at the airport do we manage to find two bowels. 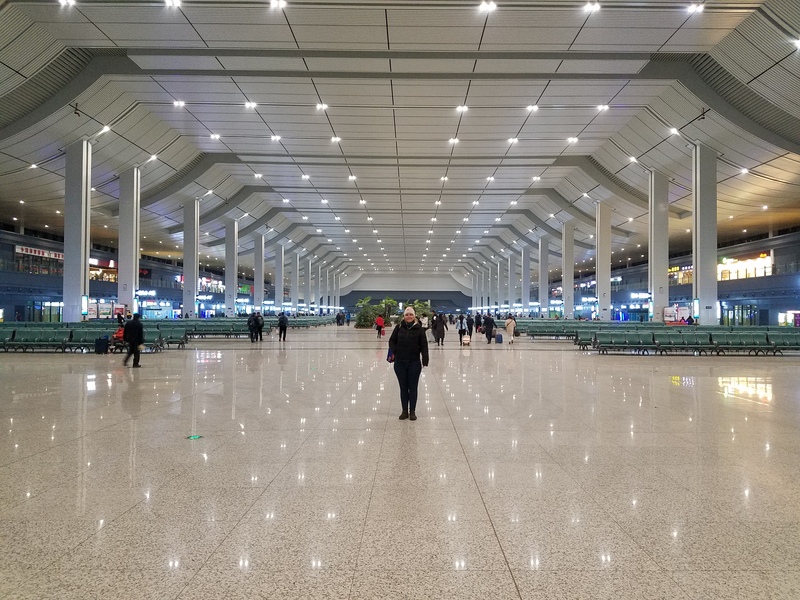 Late at night we reach Shanghai.